The day we’ve all been waiting for is finally here! Who is ready to crown a new king when it comes to GPU performance? 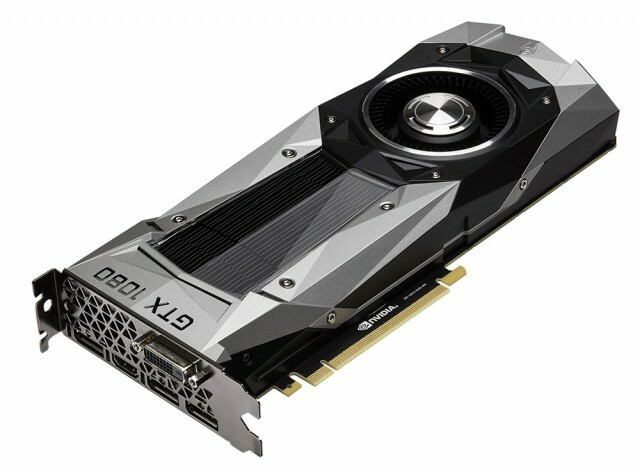 NVIDIA’s GTX 1080 details are now officially available along with benchmark results galore. If you are more of a visual learner, check out Digital Foundry’s review on YouTube. To summarize, the GTX 1080, with its 8GB DDR5 and 1607 MHz base / 1733 MHz boost clocks, beats everything else out there and frankly, it’s not even close! The next closest competitor was the Titan X, which is bested by roughly 20% (aggregated across all benchmarks on according to TechPowerUp’s performance summary page). Looking at gaming in particular, Ars Technica boasts “across the board there’s roughly a 20 to 35 percent increase in performance over the Titan X and 980 Ti.” As for overclocking, Hardware Canucks acheived a boost clock of of 2126MHz! There may even be more headroom when partners slap on better coolers or aftermarket solutions from EKWB and others hit the shelves. Share your thoughts below as well as other reviews as they are posted. Who is upgrading? Keep an eye out on our front page for reviews of partner cards coming soon! !